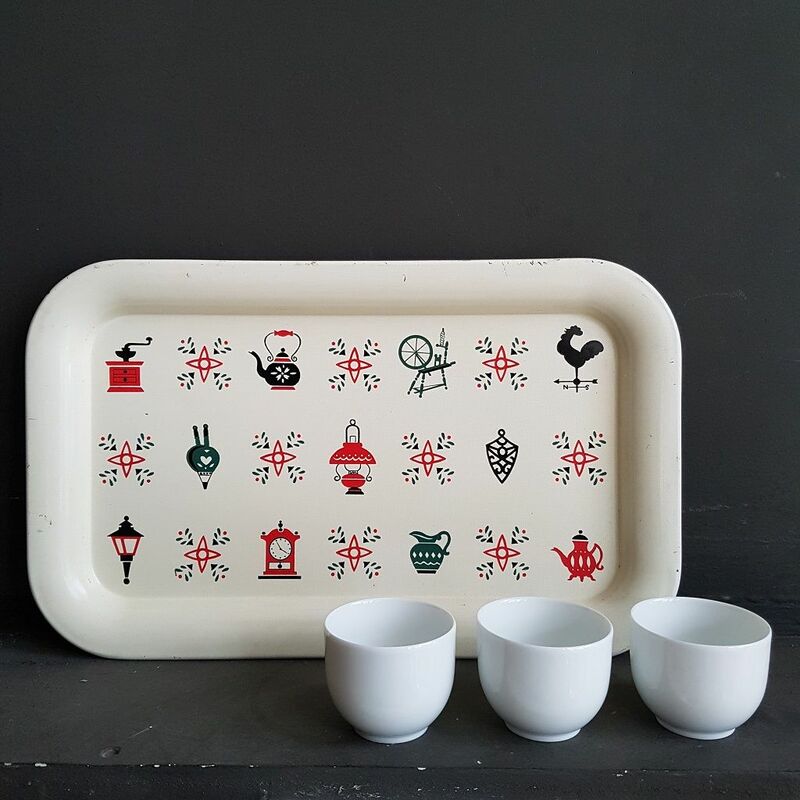 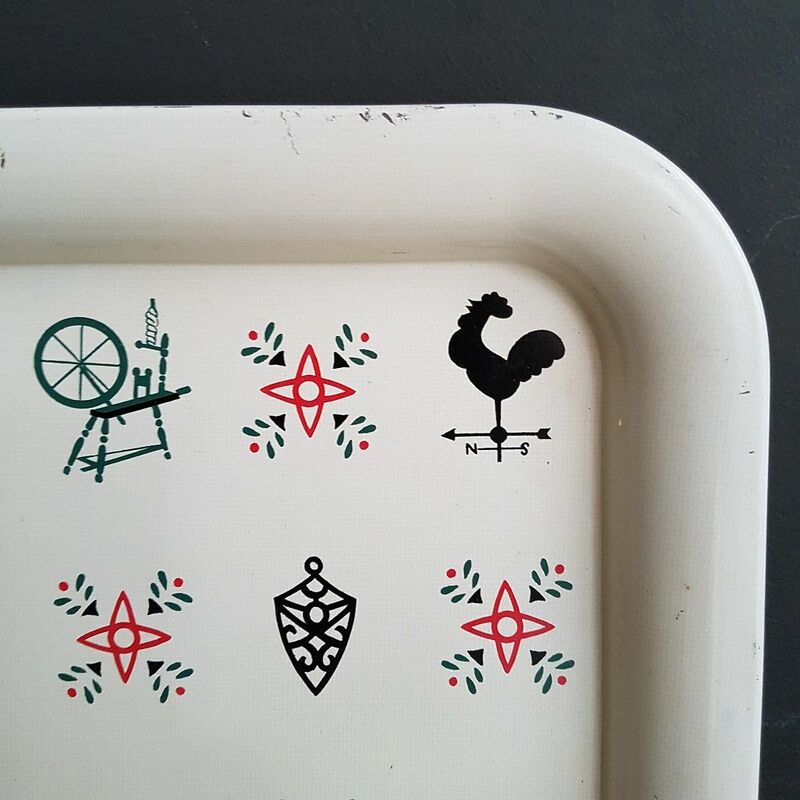 This is a really cute vintage tray. 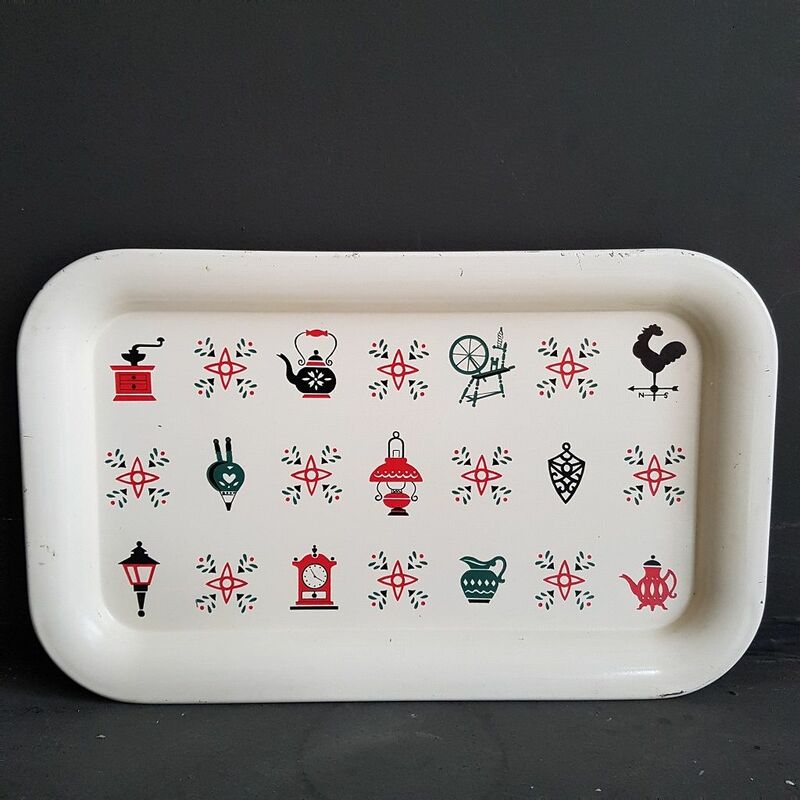 Made of metal, painted in cream and embellished with the loveliest illustrations, it is a little 1950s gem. 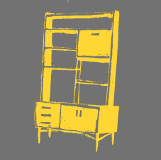 The back is a dark gold colour. 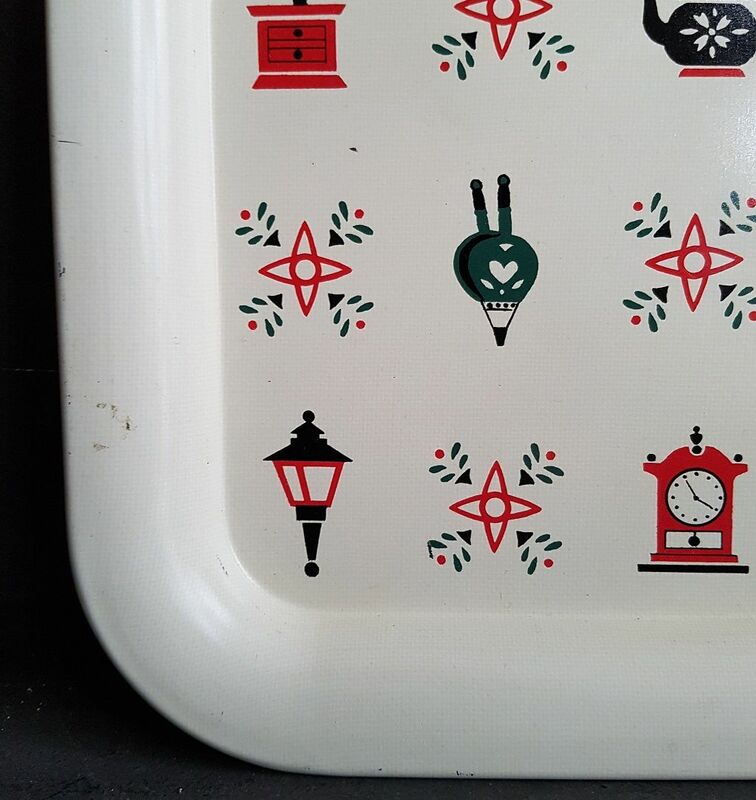 It does show some signs of ware - a few nicks and loss of the paint but the illustrations are in good condition.